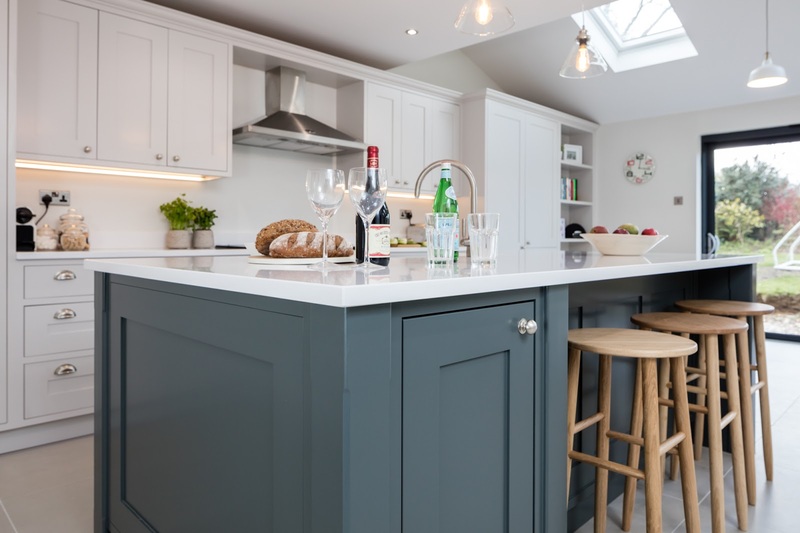 We are so excited to share this stunning grey and white kitchen with you. 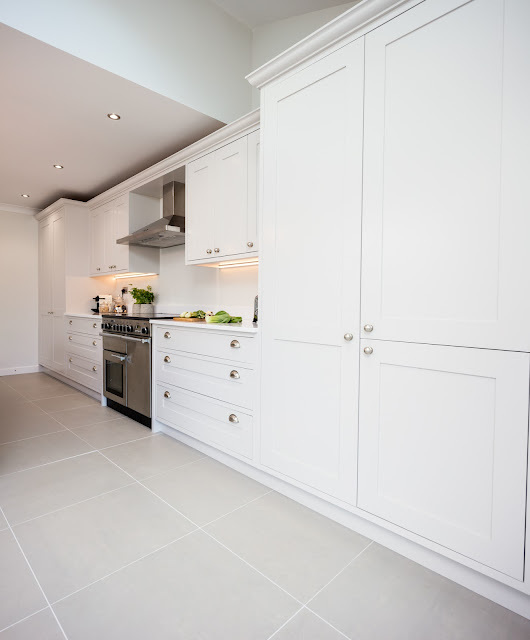 It’s a two tone kitchen painted in Farrow & Ball Cornforth White and Down Pipe. 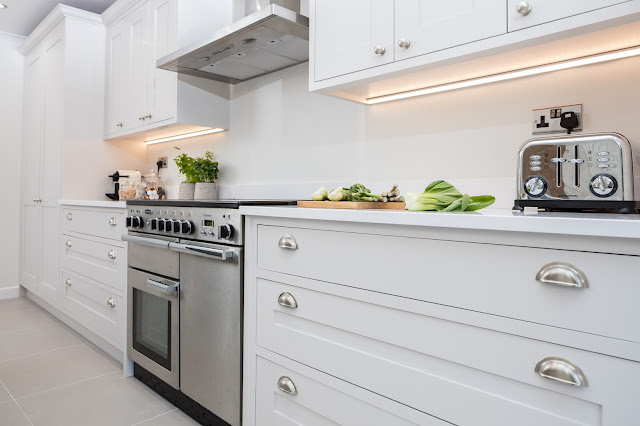 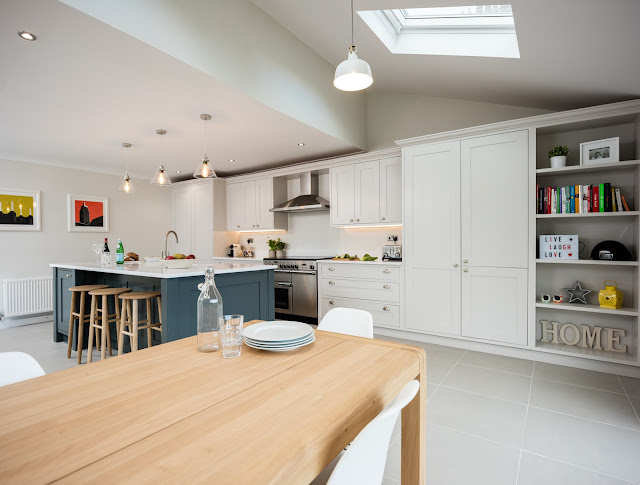 This is a fantastic light and open space with the majority of cabinetry and the range cooker against the wall and the sink incorporated into the island; a really popular layout at the moment. 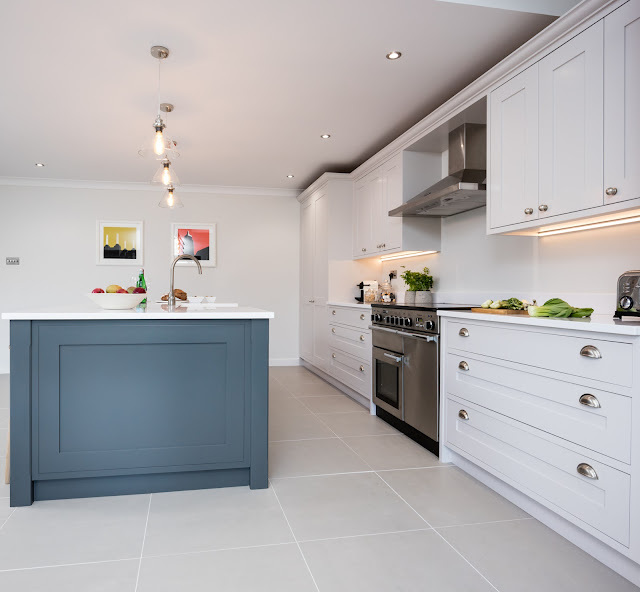 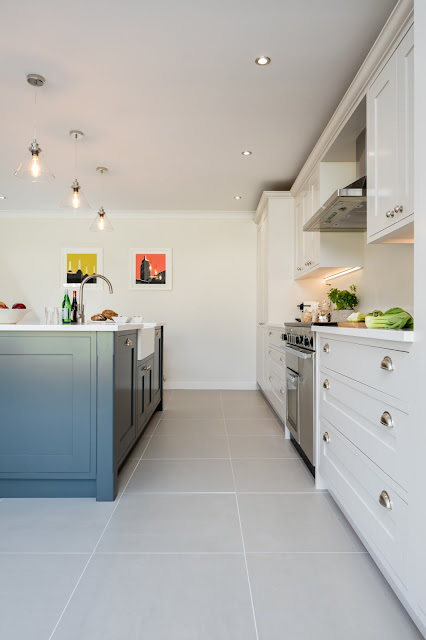 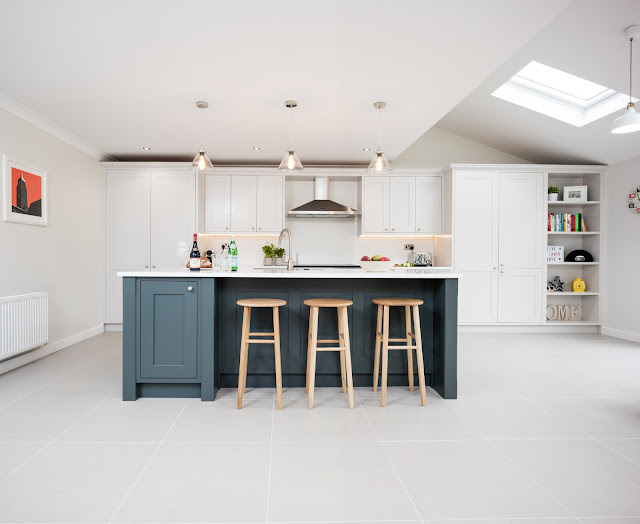 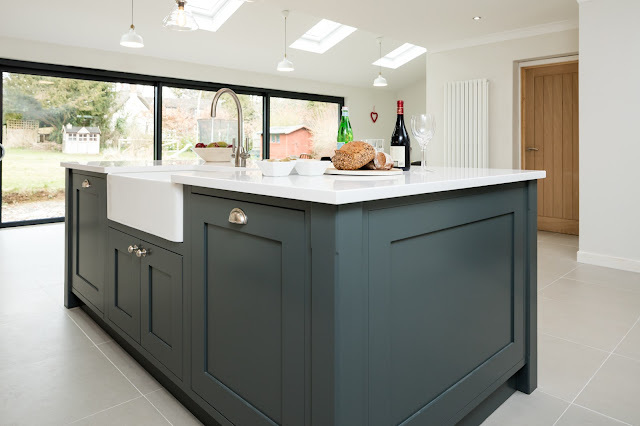 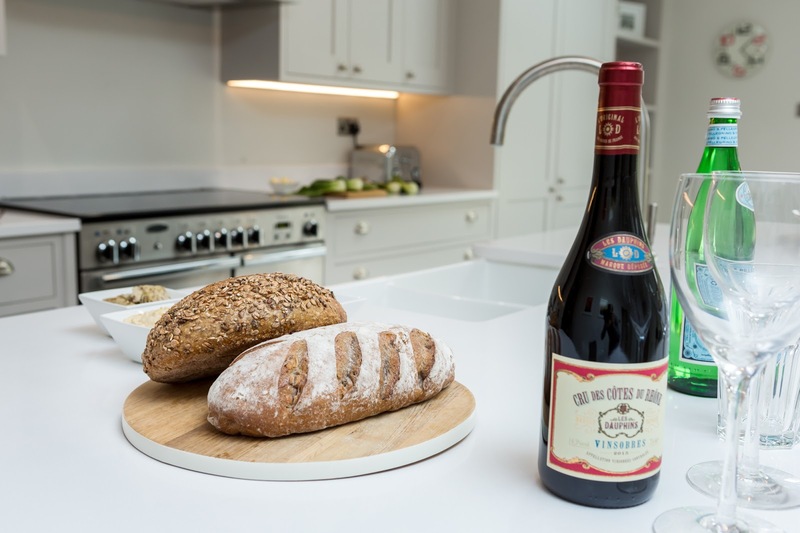 The kitchen colour scheme works brilliantly with the oak interiors, brushed nickel handles and Silestone worktops. 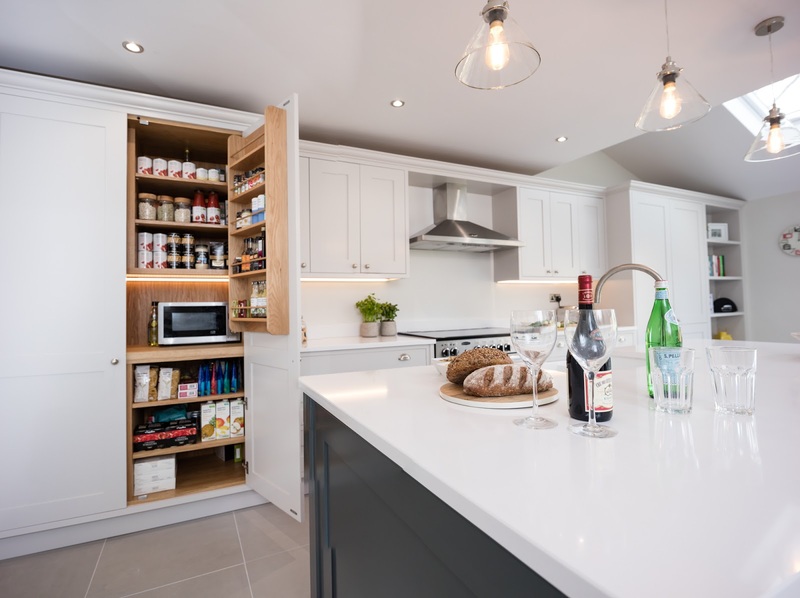 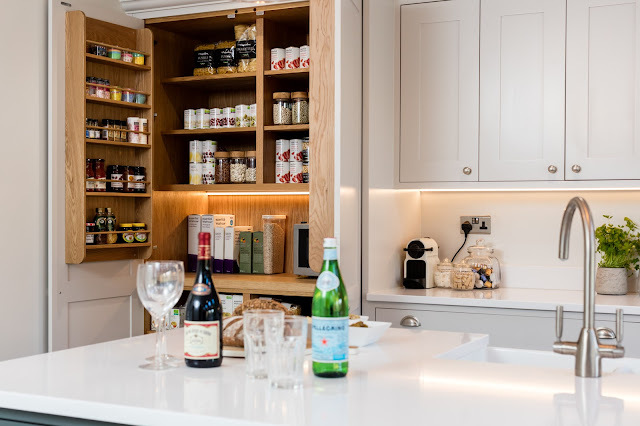 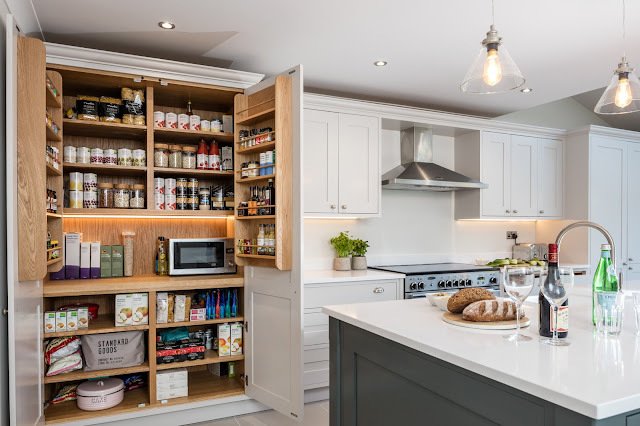 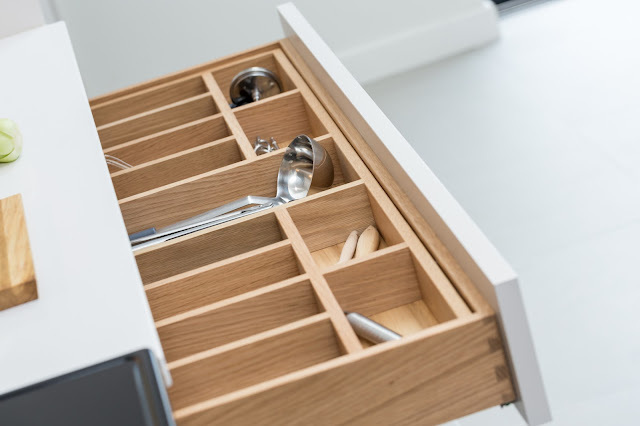 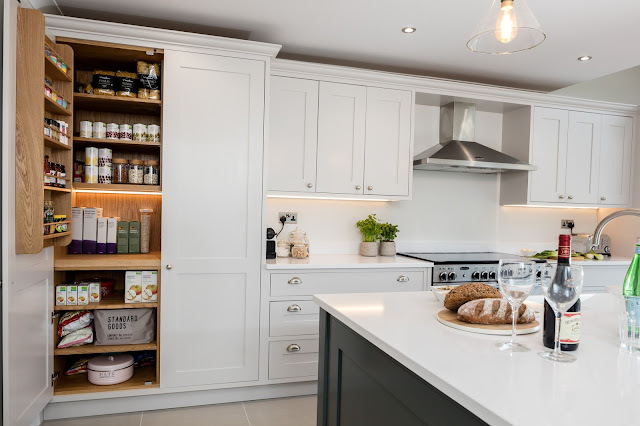 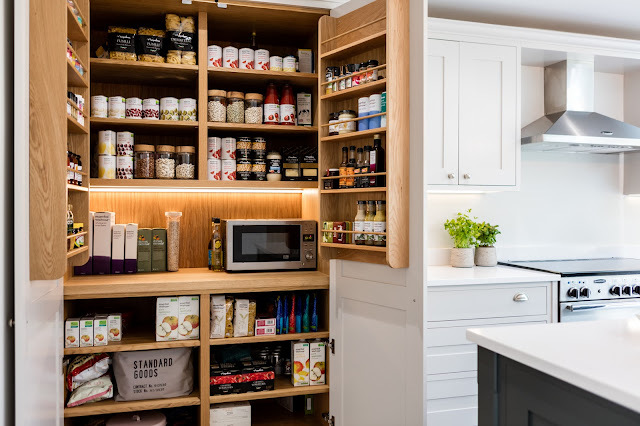 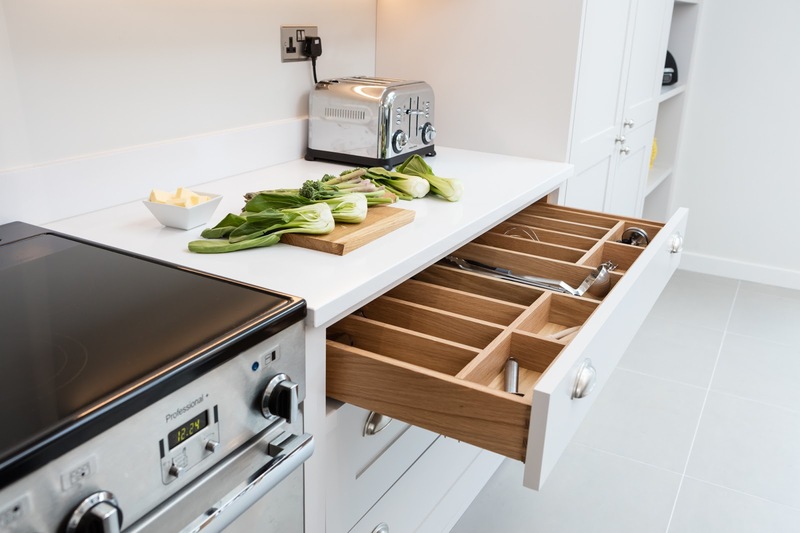 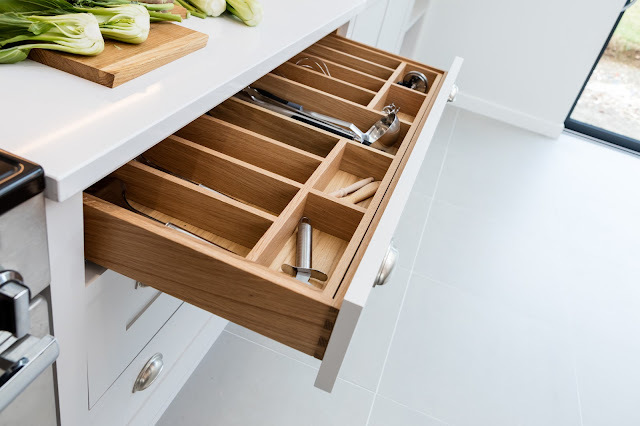 The larder provides great storage whilst the wide pan drawers make the space really practical and stylish with its solid oak dove tailed drawers and bespoke cutlery trays. 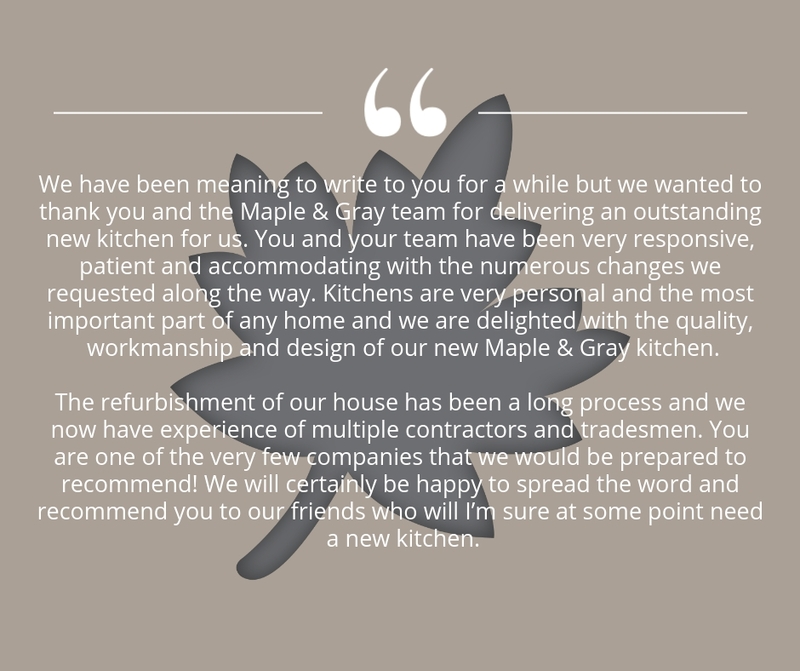 We received this wonderful email today. Such a great start to the day! 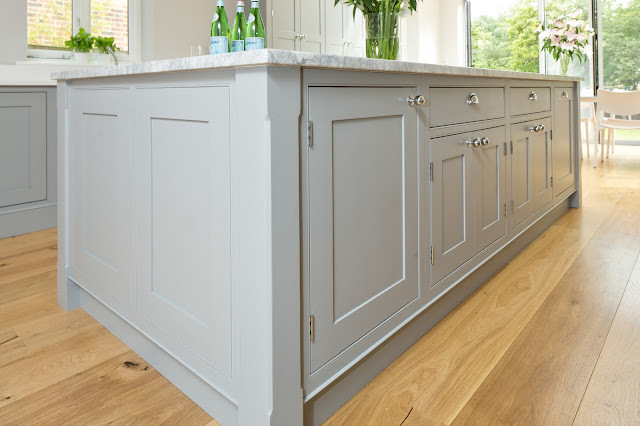 A firm favourite of ours! We love how the grey scheme works beautifully with the oak flooring. Great day today doing a photo shoot of one of our kitchens! 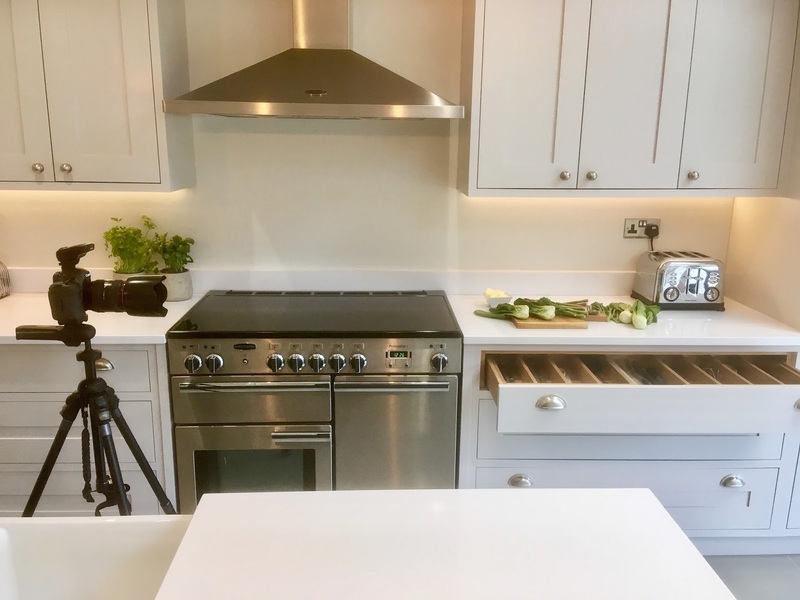 Looking forward to sharing the professional shots next week.